Allowing movement at the knee is more complicated than it sounds. When a client extends at the knee, this movement is not just in one plane. In other words, the foot doesn’t simply slide forward. The foot follows an arc, forward and upward. In order to facilitate knee extension and a return to a starting position, the dynamic component must follow this rotational movement. If the component does not follow this movement, and at the correct pivot point, the mechanism may “jam” and movement will not occur. Selecting the appropriate dynamic component and correct mounting are essential. The Seating Dynamics dynamic footrests are designed to match these requirements and elevate 30 degrees past the starting position. In addition, many clients actually press downward. This downward movement may be seen without much forward movement, particularly in clients with tight hamstrings. The dynamic component must lengthen, or telescope, to absorb this movement and return to the starting position. All Seating Dynamics dynamic footrests include a telescoping feature which lengthens the footrest hanger by 1.5”, absorbing downward forces, and then guiding the foot back to the starting position. This feature also allows knee extension without the knee “jamming,” as this provides elevation and articulation simultaneously. Finally, the client may move at the ankle into dorsiflexion (toes to ceiling) or plantarflexion (toes to floor). 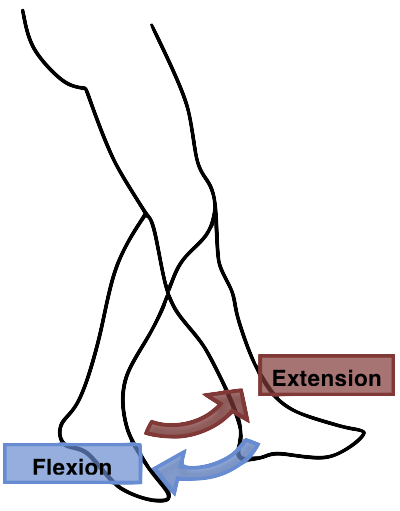 The dynamic component may also provide movement at the ankle. Plantar flexion is commonly seen in conjunction with knee extension. By adding this feature, ankle movement is absorbed, rather than force increasing over the ball of the foot, and the heel lifting off of the footplate. As in all wheelchair seating, angles are very important in meeting our client’s needs. Dynamic seating angles are equally important in providing an effective solution. Because people with physical disabilities tend to be sedentary much of the day, as caregivers we need to look for seating that allows for movement. Thanks for your comment, we agree!